After separating from my daughter, sister, & niece, my mom & I headed to Hemingway's house. I was excited to see his famous polydactyl cats!!! Here's a picture of his study which was upstairs in a little building by the pool. My favorite part was a piece of artwork that hung on the walls that showed a 'ghost' Hemingway, in his study, alongside some of his cats! The cats could 'see' him, even though he's a ghost. Here's a tour guide, not ours, feeding one of Hemingway's cats. The Hemingway house has approximately 50 cats, all of which carry the polydactyl gene, though only about half of them have the physical trait of having 6 toes (rather than 4 or 5). Hemingway was given a 6-toed cat by a ship's captain, and the cats are descendants of that original cat. There's a cat cemetery on the grounds and each of Hemingway's cats are buried there. I was impressed that the guide (above - feeding the cat) said he knew the names of all 50+ cats! And, just a self-portrait in a mirror in the gardens! While on our Spring Break cruise, our first day on shore was at Key West, Florida. was on the correct side to see us pull in! We took a "hop on/hop off" tour. We drove by the "southernmost point in the continental USA"...which had a long line of people wanting to be photographed next to it. We saw several "Conch Mobiles" which are each unique and painted to reflect Key West. After this, we 'hopped off' and separated. My mom and I headed off to see Hemingway's house and a couple of museums while Alex and her aunt and cousin went to spend the day at the beach. "...so costly a sacrfice upon the altar of freedom." While we're in France this summer, we'll be touring Normandy, the site of the Allied invasion. 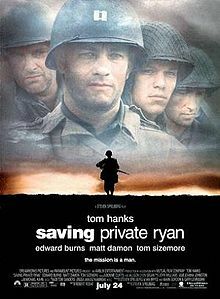 Last weekend, we watched Saving Private Ryan to become more familiar with June 6th, 1944, otherwise known as D-Day. It is an incredible movie, not just about D-Day but also about WWII. Of course, as a war movie, it is quite bloody - in fact the bloodiest movie I've ever watched. And, I did fast forward through a couple of 'inappropiate conversations' (which were while they were waiting for the tanks by the bridge). 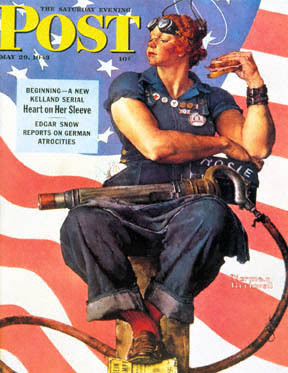 But, we are both a lot more aware of what D-Day meant to the war now. Last month, Alex & I went on a Carnival Caribbean cruise with my mom, my sister, and her daughter. My mom has been on quite a few cruises, but I just wasn't sure if it was the right type of trip for me. However, it sounded like a great way to take a 'girls' trip' and to see some places we've never seen before: Key West, Florida and The Bahamas! We've been to Galveston quite a few times and it was neat to watch the familiar sites shrink away as we sailed off on our great adventure. This is a gorgeous view off the back of the ship. As we traveled, it was often incredibly windy on the outside decks. They had a jogging track around the ship and some people were using it, but I couldn't imagine jogging into that wind! So, I spent some time here, in the back of the ship, where it wasn't so windy. There are lots of activities on board a cruise ship - especially in the evenings. Our favorite two shows were a magic show (wonderful!) and a juggling show (although he wasn't 'perfect', he was incredibly entertaining!). We also went to see karaoke several times, and my sister participated! And, we watched a comedy show (they have early 'family friendly' shows, and later 'adults only' shows). Usually, we ate the more formal dinners where you are served course after course of delicious food. I was disappointed in the buffet food, though - it was pretty much 'buffet' quality! And, it was hard to find food early in the morning, though room service was FREE - but not very reliable. Most of my photos were of the excursions, so I'm disappointed to not have more to share. But, I'll leave you with this one of Alex participating in an Animal Quiz Show. She was in the final THREE out of the 30-40 who started! Mostly adults! And, one of the 'final three' was a couple and the other was a zoology professor!!! I'm very proud of Alex and her knowledge of animals! Need a Good Wild West Book? I just finished yet another book by Gloria Whelan! I love her historical fiction for children. (This one is listed as ages 8-12, but I think older children would enjoy it, too. I did! Miranda's dad was killed during Custer's "Last Stand" at Little Big Horn. 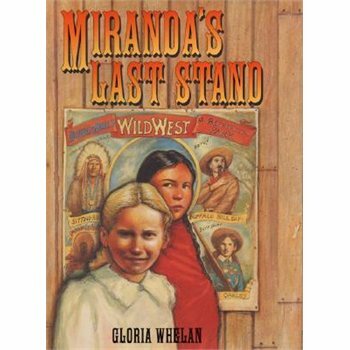 Now, Miranda and her mother are traveling with Buffalo Bill's Wild West show. Miranda's mom is very upset when Miranda starts making friends with the Indian children of the show. And, when she learns that Sitting Bull is coming to be a part of the show, she is tempted to quit. But, if they leave, they'll never afford to move back to the farm. I love that this story introduces the reader to so many characters from the wild west like Buffalo Bill Cody, Sitting Bull, General Custer, and Annie Oakley. And, you hear the story of Custer's Last Stand from Sitting Bull's point of view! This weekend, Alex & I went with my husband's aunt to see a new art museum: Crystal Bridges Museum of American Art in Bentonville, Arkansas. The museum, which opened in November, was founded by Alice Walton of the Walmart family. The museum is a nonprofit organization and admission is FREE because of a grant from Walmart. The museum buildings are amazing and it sits on a gorgeous 120 acre site with over 3 miles of walking and biking trails. Unfortunately, it was raining, so we didn't go out on the trails. 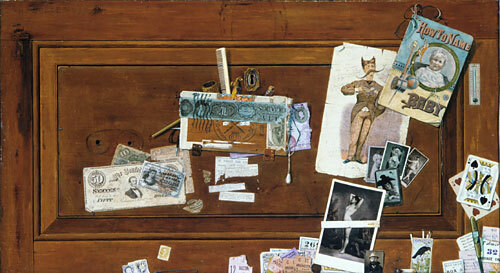 The collection of American art is divided into 4 sections: Colonial, 19th Century, Modern, and Contemporary. 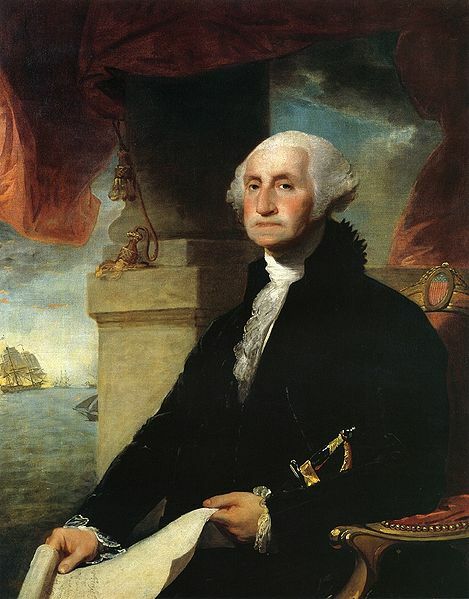 The Colonial collection included art by Gilbert Stuart (the Constable-Hamilton portrait of George Washington shown above), John Trumbull, John Singleton Copley, and Samuel Finley Breese Morse (of morse code fame and whose art I discussed here). The 19th Century area includes some trompe l'oeil which is art that tricks the eye into thinking it's 3 dimensional. One piece was by Haberle, though it isn't the one I posted above. There was also work by Mary Cassatt, Augustus Saint-Gaudens, and John Singer Sargent (whose art I copied for my charcoal portraits). The Modern and Contemporary sections included art by Norman Rockwell (one of my favorite artists! ), Andy Warhol, Jasper Johns (who we studied here), Louise Nevelson (who we studied here), and Jacob Lawrence. I loved the layout of the museum. There were two places where you could stop and rest and look at art books or get on iPads to learn more about the art. And, there were two hands-on activity centers. Unfortunately, one closed just as we found it. But, we spent some time in the other. It had quite a few activities (including a dressing up area and places to build and to learn about art). Alex and Aunt C had fun making butterfly art! We ate at an outdoor Italian restaurant on the Riverwalk and this pigeon walked right over to Alex! We visited The Alama (our 2nd time). I'm wearing my "Run. Rock. Roll. Repeat." t-shirt the day before my race.